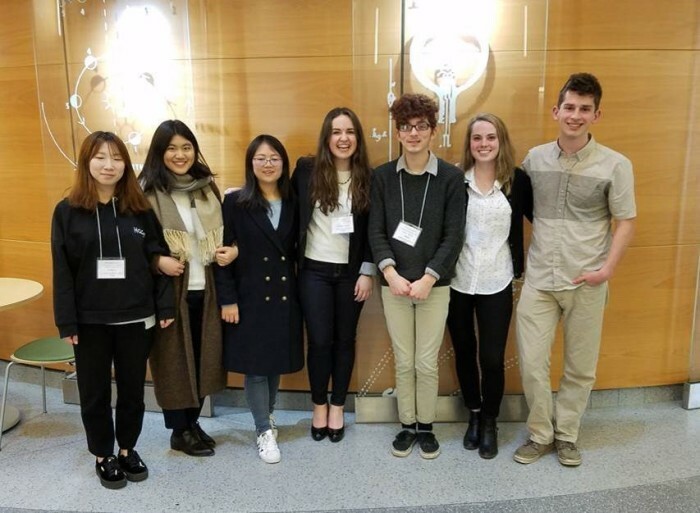 The Hobart and William Smith chapter of Phi Beta Kappa (ΦΒΚ), the national honor society, has announced its new members for 2019. Included are Qingyi Lu (William Smith '19), a double major in Mathematics and Computer Science, and Hugh (Nick) McKenny (Hobart '20), who is pursuing a major in Mathematics as well as an individually designed major in cognition. Zibitsker '19 Wins "The Pitch"
Computer Science major Maxim Zibitsker (Hobart '19) was the winner in the final round of the 2019 Stu Lieblein ‘90 Pitch Contest. The Pitch is an entrepreneurial competition in which Hobart and William Smith students compete for a $10,000 prize. In the final round, four finalists — chosen from a field of ten semi-finalists — present their ideas to a panel of judges in front of a live audience. Max's project, Aqua Salutem Technologies, aims to develop a system to identify swimmers who are in distress and alert the lifeguards to the situation. This is the second time that Max has been a finalist at The Pitch. In addition to his Computer Science major, Max has a second major in Economics and a minor in Mathematics. Another Computer Science major, Tyler Andra (Hobart '20) was also one of the four finalists in this year's competition. 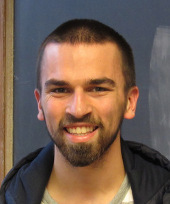 Drew Scammell will be the math intern for the academic year 2018–2019. Drew is a 2018 graduate of Hobart College with majors in Mathematics, Physics, and Dance. He was the recipient of the Beinert Prize, which is awarded annually to a graduating Hobart or William Smith student for excellence in Mathematics. As math intern, Drew will be available to offer help to students in Calculus and Pre-calculus courses. 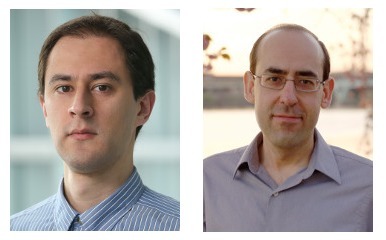 The Department welcomes two new Visiting Assistant Professors of Mathematics for the 2018–19 academic year. Professor Cristobal Lemus-Vidales, shown on the left below, received his Ph.D. from Brandeis University in 2017. His research interests are in the area of Enumerative Combinatorics and Mathematics Education. Professor William Simmons, shown on the right below, received his Ph.D. from the University of Illinois at Chicago in 2013. His research interests include mathematical logic and its applications, differential algebra, formal methods and interactive theorem proving in computer science. In other faculty news, Professor Alden Gassert continues as a Visiting Professor of Mathematics for a second year. Professor Yan Hao is on leave for the year, and Professor Jocelyn Bell is on leave for the Fall semester. Professor Joseph Rusinko will be spending the year as Associate Dean for Faculty Development and Affairs. Professor John Vaughn retired from teaching at the end of the Spring semester 2018, after thirty-three years of service to the department. Professor Vaughn received his Ph.D. in Mathematics from the University of Illinois at Chicago in 1985, and he joined the department in the same year. Although his Ph.D. was in mathematical logic, Professor Vaughn has long been an essential contributor to the Computer Science side of the department. His hardware courses, Embedded Computing and Robotics, have been particularly popular, and his expertise in that area will be hard to replace. Professor Vaughn will be missed by his colleagues and students, but he continues his association with the Department and with the Colleges as Professor Emeritus. The Robert Beinert Prize, awarded to a a graduating Senior for excellence in Mathematics, Drew Scammell. The John S. Klein Prize, awarded to a graduating Senior to recognize excellence in Computer Science, to Jacque Kane. The Catherine Adele Rippey '35 Prize, awarded to a William Smith Senior to recognize excellence in Mathematics, to Jacque Kane and Theresa Lohr. The Glenn M. Lee Prize, awarded to the Hobart Senior who has been most proficient in mathematics and athletics, to Lukas Ruddy. The Abigail Mosey Book Prize, awarded to a Hobart or William Smith Senior for generosity in helping others to learn and appreciate mathematical ideas, to Wenshi Wang. The William Ross Proctor Prize, awarded to the William Smith Sophomore who has achieved the highest rank in mathematics in her first two years at the Colleges, to Kaitlyn Geraghty and Kelsey Pierce. The Irving Bentsen Prize, awarded to the second year student at Hobart College who has the most outstanding record in mathematics and computer science, to Jesse Maltese and Hugh (Nick) McKenny. 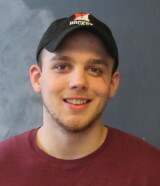 In addition to these prizes, we note that Frank Oplinger completed his Honors project in Computer Science, entitled "ScoutPlus: A Web Application for the Development of Advanced Hockey Analytics". And two senior Mathematics minors were inducted into the national honor society Phi Beta Kappa: Lauren Kogelman and Mitchell Hutteman. Frank Oplinger (Hobart '18), a double major in Computer Science and Physics, is working on an Honors project in computer science during his senior year. For his project, Frank — who is also a member of the Hobart hockey team — is designing and implementing a web site that can be used to record and share statistics for junior hockey players. The title of the project is ScoutPlus: A Web Application for Advanced Junior Hockey Analytics. Honors at Hobart and William Smith Colleges is a two-semester project, culminating in a substantial Honors Thesis and an oral exam by a panel of three examiners. In June of 2016, HWS was awarded a three year $180,000 grant from the National Science Foundation to support research in Mathematical Phylogenomics. This grant made HWS one of only six institutions to receive funding for Mathematical Biology under the Research at Undergraduate Institutions designation. A primary component of this grant program is the Mathematical Phylogentics Scholars program which provides long-term financial support for HWS students to conduct research in a unique blend of mathematics, computer science and biology. Current Scholars include Qingyi Lu, Jacque Kane, Jesse Maltese and Ally Doherty. The aim of this program is for scholars to gain admission to top doctoral programs in STEM fields, and to publish their research in peer-reviewed journals, and to present their findings at professional meetings. Last year, participants presented their findings at the Mathematical Association of America's Spring Seaway Sectional meeting held at SUNY-Oswego. This year Jacque Kane has received a travel award from the Mathematical Associate of America to present her research at the Joint Mathematics Meetings in San Diego. Students interested in learning more about this program should contact Professor Rusinko.